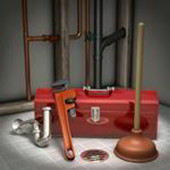 The condition of your plumbing system could be critical for the normal operation of your residential or business facility. A properly maintained drainage will ensure the well-being of your family members or employees. Trying to fix or modify even a tiny part of the piping without the needed experience can be dangerous. We provide a variety of plumbing services ranging from drain unclogging to the implementation of bathroom suites and more. Our uneven distribution of fresh water and the climate fluctuations mean that we need to pay special attention to this resources. At Handyman Express, we know that a clean & fully functional supply of water is essential and we take plumbing jobs quite seriously. The plumbers of Handyman Express are trusted, qualified and insured professionals who know how to do their job. From general repairs to a new bathroom installation - no task could be too complex. Get in touch with our team today and learn more about the available ways to keep your plumbing system in good shape and up to date.